Joan Walker has had a substantial career in TV, film and theatre. For TV, Joan has appared in Coronation Street for Granada Television, Grange Hill, City Central, Kiss Me Kate and Doctors, all for the BBC, Why We Went to War for Channel 4 and most recently, Birds of a Feather for ITV. Joan has also worked extensively in radio for many years, predominantly for BBC Radio. 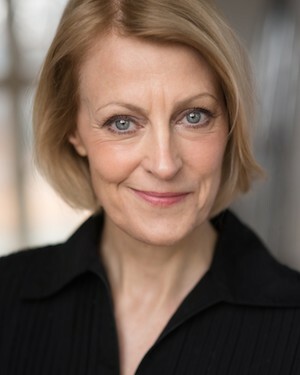 Her recent work includes Once More, With Feeling, (BBC Radio 4), Nightingale Wood (BBC Radio 4), Today Programme (BBC), The Future of Radio (BBC Radio 4/Pier Productions), Middleton Hall (British Council), Do Not Go Gentle and A Small Town Murder (Brill Productions/BBC Radio 4). She can also be heard alongside Natalie Dormer in Harry Potter: A History of Magic for Audible.